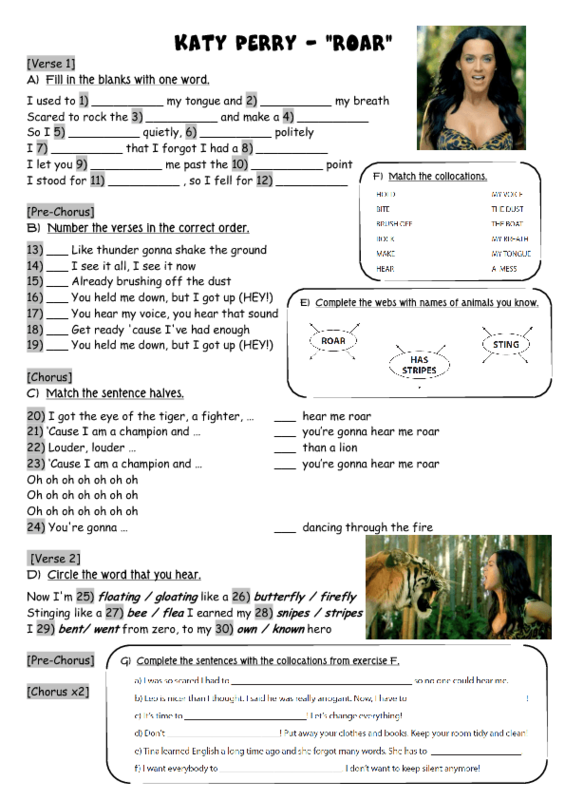 Song Worksheet: Roar by Katy Perry. Variety of exercises: fill in the blanks with the words that you hear, put the verses in the correct order, match the sentence halves. 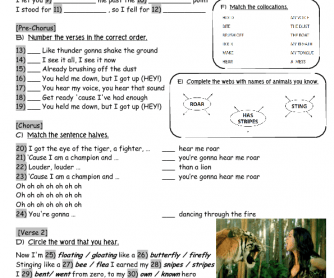 Plus some vocabulary/use of English exercises: matching collocations and completing sentences with the correct collocations, animal vocabulary.